Summer is upon us again! In the world of lawn care, this means a shift away from weed and insect management and into drought stress management and fungicide treatments. Adopting these two summertime lawn maintenance procedures can prevent bigger problems like summer weed invasion and fungus growth. Mowing. Turf grass in the Northeast goes dormant when temperatures reach 80°, so lawn mowing is not the battle like it is in the spring. Raising your mower blades and effectively cutting your grass longer shades the roots, retaining moisture, and providing the maximum green space for photosynthesis to feed the turf. Remember the “shoot-to-root” ratio rule: the longer your turf grass is, the deeper its roots will go down into the soil. When mowing your lawn, never remove more than 30% in a single cut. This will shock the turf, stunt the growth and increase potential for disease and insect attack. Mulching in the clippings will also replenish the moisture, as grass clippings are 90% water. Finally, make sure your mower blades are sharp to avoid tearing. Tattered turf tips release valuable moisture more than a clean cut. Irrigation. Turf grass needs at least 1 inch of water every week to survive; 1 ½ to 2 inches is ideal. Once your lawn has a silvery sheen, it is too late. It’s important to anticipate drought stress ahead of time and adjust your irrigation system to water deeper but less frequently. The idea is to saturate your soil, then give it a chance to dry out a bit. A good rule of thumb is to double your irrigation zone run-times, and water every two or three days. For example, if your zones are set for 15 minutes, change it to 25 or 30 minutes and program your controller to run the irrigation system every other day. If the soil is too wet, change your watering schedule to every three days. Whether you water manually or with a sprinkler system, a core sampler is good way to check if the roots of your lawn are getting enough water. If you have questions about mowing and irrigation, or you need help adjusting your irrigation system, please call us at (603) 437-4464, option #1. 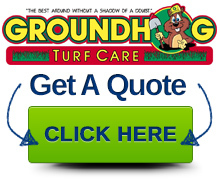 If you think you might have a turf disease, or if your lawn is dead, please contact our Turf Care Division at (603) 437-4464, option #2.